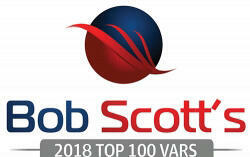 Montreal, Quebec, September 18, 2018 – GURUS Solutions, today announced that it has been named to the Bob Scott’s Insights Top 100 VARs for 2018. The Top 100 resellers are chosen from organizations specializing in the sale and implementation of Enterprise Resource Planning (ERP) and accounting software. The selection is based on annual revenue generated by each reseller. A special report that includes names of the organizations selected for this year’s Top 100 list, ranked by revenue. Bob Scott has been informing and entertaining the mid-market financial software community via his email newsletters for 19 years. He has published this information via the Bob Scott’s Insights newsletter and website since 2009. He has covered this market for 27 years through print and electronic publications, first as technology editor of Accounting Today and then as the Editor of Accounting Technology from 1997 through 2009. He has covered the traditional tax and accounting profession during the same time and has continued to address that market as executive editor of the Progressive Accountant since 2009. GURUS Solutions has been named a finalist in the Solution Provider of the Year category of the 2016 CDN Channel Elite Awards. Martin McNicoll, President of Gurus Solutions, is a finalist for the EY Entrepreneur Of The Year® 2016 Award. GURUS Solutions has been chosen as the “PME en lumière” (Small and Medium Business in the Spotlight) winner for June 2016. NetSuite’s annual user conference being held May 16–19 in San Jose, Calif. Cloud consulting pioneer provides an array of support and optimization services to facilitate communications for customer requests. Author Martin McNicoll connects readers to experts in their fields and reveals simple-to-understand concepts for building a future-proof enterprise. New name reflects the company’s extensive expertise in offering an array of cloud business solutions. GURUS Solutions ranked among the top software resellers and consultants on VAR 100 2015. GURUS Solutions, for the fourth consecutive year, it has been awarded with the NetSuite 2015 5-Star Award.